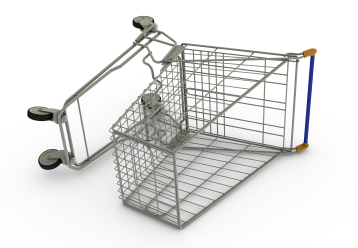 Cart abandonment is a process of a customer adding things to their shopping cart with an intent to purchase, then never finalizing the purchase. As an online marketer, your role must be to try minimizing cart abandonment as much as possible for your prospects on your website and sales page. Some online stores figure up to 68% abandonment, over three quarters of their customer who place products in their cart and do not finalize payment. So what can you do to ensure that your customers end up checking out? Here are 6 smart checkout changes that will surely prompt your customers to pull their cards out. Customers only need to type in their important information as name, address and credit/debit card number. There is no need to include other unnecessary fields before the payment is made. This is the most convenient method and in case there are repeated customers, their information is already stored somewhere and they will not have to go through the stress of filling out information once again. Likewise there are some details that can easily be extracted from payment gateways like “card type”, “billing address” and so on. Therefore, you should prefer creating simple, short and easy credit card steps that does not annoys customer. Customers normally get confuse when they see a list of multiple shipping options, therefore to avoid this fuss, you must specify the most relevant shipping method that applies to customers based on their country or region. Try to limit the availability of too much shipping methods and guide your customers to make a real and wise choice by highlighting an estimate of delivery times. Your job is to help them decide without thinking too much for choosing the right shipping method. Fax Number details which a bulk of customers usually do not have, so they decide to skip over. So, avoid asking for Fax number info as it irritates customers and they prefer to leave your site at that very moment. Have a look at your contact form and decide what must stay and what can go. Do you really need people’s daytime phone numbers? Eliminate these factors and see how you will be able to measure changes in conversion rates! CAPTCHA (Completely Automated Public Turing test to tell Computers and Humans Apart) are combinations of squiggly letters and numbers that are entered to help prove you a human. As per the report made last year by SEOMoz, turning the CAPTCHA on results in nearly 160 failed conversions. To avoid the risk of scaring off visitors, make sure that your “human verification” code shows up only if there is some sign of abuse over the form, like multiple submissions and so on. Hide both your top and side navigation once the customer has initiated the checkout so as to prevent distractions. At this point of time, your goal should be to finalize the order before the visitor loses interest. Pop-ups, images and other unnecessary information tend to annoy customers and make them to go away. You need to go through your site objectively to check whether it is filled in with too much information on the checkout page. Lesser the disruptions, the greater your odds that they won’t lose interest. Although most online businesses would like to have this information, you must ask yourself if it is important enough to risk losing the sale. Many privacy sensitive customers don’t like to give out this information. Once you start implementing these changes, you will be able to discover innovative approach to promote your business online with increased conversion rate. At Velocity we have introduced few useful plugins to minimize abandonment rate. For more information see our blog “OpenCart Abandoned Cart Plugin that reduces Cart Abandonment Rate“.